So I am seriously into teff flour now, but I wanted to branch out from pancakes. When I was searching about ye olde internets to find a teff flour cookie recipe, I nearly despaired – there is a serious lack of variety out there. Luckily for me, I like peanut butter, but my frustration did not stem from the fact that 80% of all teff cookies are a teff peanut butter cookie recipe variant. No, dear readers, inducing my angst was the fact that every single recipe called for the ingredients to be mixed in a food processor, or blender at the least. Neither of which I own. Longtime readers of this blog will know that I don’t let a little thing like lack of utensils stop me, so as necessity is the mother of invention, thus I created. I’m like the Iron Man of cheap baking. 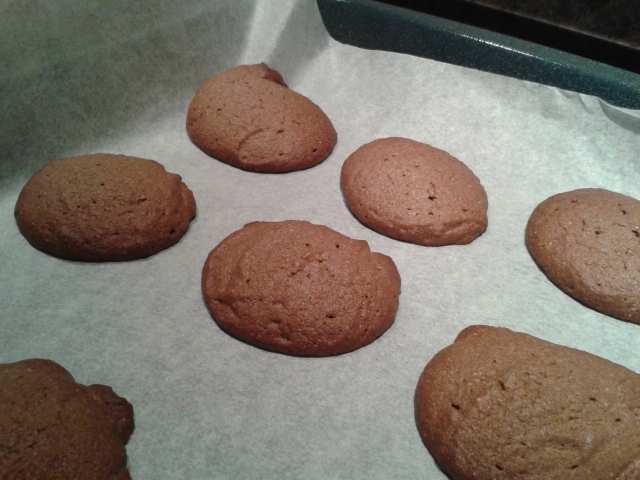 (shutup, teff cookies are totally a necessity). I swiped the basic ingredients and procedure from Beard and Bonnet. Bulk Barn is my JAM. Or, in this case, peanut butter. 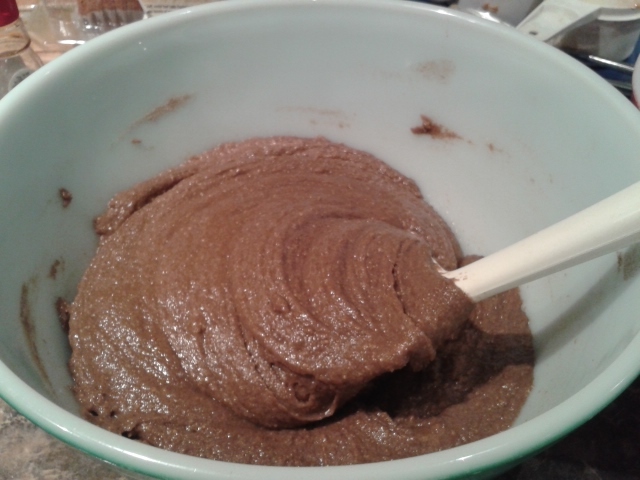 In a medium-sized bowl, mix the teff and salt. In a second, larger bowl, melt the coconut oil – about one minute in the microwave should be enough. I took mine out when there was still a feeew solids left, because I had an ingenius plan: then, add the peanut butter to the oil, and pop it back in the microwave for 20 seconds or so. 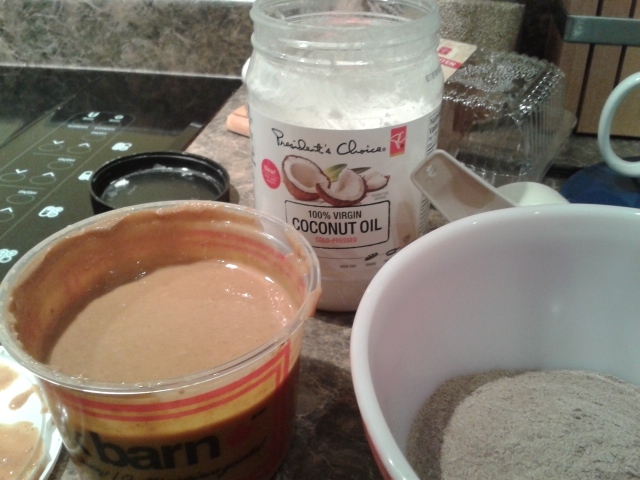 Mix the two together: the pb should be softened and blend easily with the oil. Add the vanilla and honey; stir well. Add the dry ingredients; stir well. The mix will be very wet; this is because the peanut butter is all liquidy. If you want it solidified a little more, pop the bowl in the fridge. Put a sheet of parchment paper over your cookie sheet and arrange drops of the batter over it. The original recipe calls for you to scoop the dough with a cookie scoop into walnut-sized balls that can be rolled in the palm of your hand, then put on the sheet, but if you’re more like me and less like Little Lord Fauntleroy, you can probs just use a regular teaspoon. Bake the cookies for 13-15 minutes. Allow them to cool completely on a rack before eating – and be careful, they can be super crumbly when you are trying to transfer them from the baking sheet to the cooling rack. I have crumbs all over my floor. The teff gives these a nutty flavour that is very well complimented by the peanut butter; the honey is a lovely sweet touch, but subtle. The salt is a great counterpoint. The cookies themselves are soft right out of the oven (and thus crumbly), but firm up a bit once they’ve cooled, and are an irresistible snack.